Most software today cannot be defined purely by the software itself. 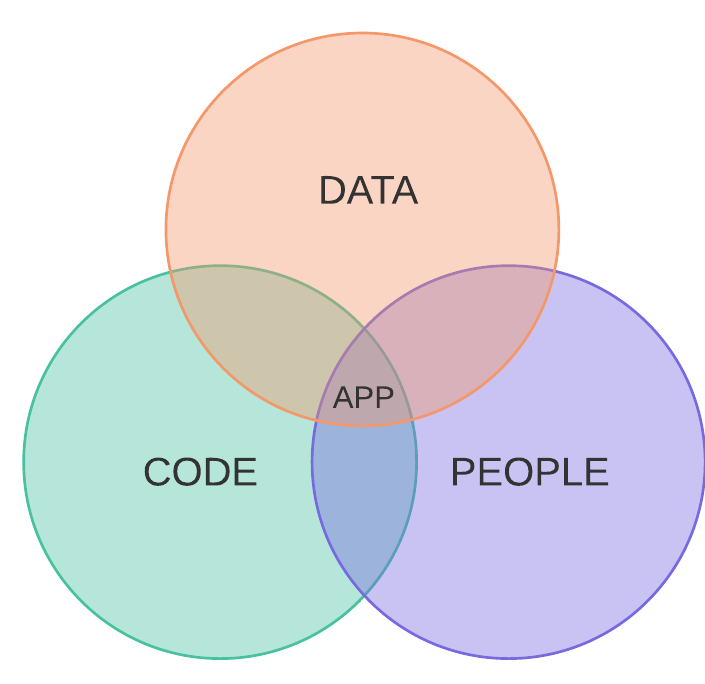 This new class of software requires data and a community people that create and interact with that data. This is substantially different from first generation software tools, where a person starts with a blank canvas or template and uses the software to create a document, such as PhotoShop, Word or Emacs. Also quite different from software services, where a person uses an online service to perform a transaction, like online banking or e-commerce, or communications software, like email or Skype. We are more than the sum of our efforts. Software can now enable a collective intelligence. It can be applied without direction for entertainment or social engagement in a social network, like Facebook and Twitter, or to serve an individual purpose, as with crowdfunding platforms, Indiegogo and Kickstarter. There is also an emerging category of services where humans collectively accomplish something that leads to discovery or allowing our machines to interpret the real world more effectively on our behalf. At Blazing Cloud last year, we called this UGC Science, more generally it’s called crowdsourcing. Thousands of people are participating in dozens of projects that are helping to interpret real world artifacts through crowdsourced transcription, including my current work with the Smithsonian Collections. This is a trend where data science meets user experience — we’re designing the way humans interact with the software with the goal of creating an outcome larger than an individual could do alone.